Our Independent Living options offer adults 55+ all the comforts of home, plus the option of having access to clinical and health services that are provided by our caring staff. Featuring 95 well-appointed senior apartments, we offer a choice of three different floor plans including studio, one- and two-bedroom apartments—all of which come with a number of amenities such as restaurant-style dining, and the added options of laundry services, recreational programs, and group outings. There’s always something happening at our community. You can choose from a wide variety of enriching, engaging activities including crafts, Live 2B Healthy on-site fitness classes, walking groups, exercise classes, cards, bingo, choir, special interest groups, religious and Bible study, a variety of entertainment, and much more! Weekly grocery shopping trips, scheduled “dinners out” and other van outings are also offered. For more images of our recently renovated community, take a look at our Welcome Picture Brochure . Our spacious Independent Living apartments all feature large windows, group social activities, and care that is personalized to your needs. 460 sq. ft. | Starting at $1495/mo. 590 sq. ft. | Starting at $1700/mo. 900 sq. ft. | Starting at $1955/mo. Interested in our independent living options? There are countless options to explore—and countless questions you’ll probably want to ask when you begin to discover the world of senior care. A move to Assisted Living at our community provides the opportunity to explore a new way of life; one that offers new beginnings of all kinds—engaging new friendships and enriching activities built around small group involvement. We’re here to make the transition from home to our community as easy and stress-free as possible. Ease into a comfortable and enjoyable lifestyle, offering individually tailored personal care options suited to your needs and preferences. Your plans, interests, and goals are our priority, and we’re ready to do everything we can to help you live life to the fullest. Residents are encouraged to be part of social activities and enjoy a relaxed lifestyle without the obligation to keep up with chores or burdensome household tasks. From simple housekeeping and nutritious meals, to hygiene and healthcare, we strive to enable our residents to lead their own lives in a way that is happy and healthy. Our community features 95 modern, beautifully equipped apartments that are available in three floor plans. 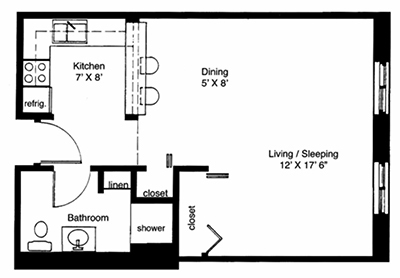 These studio, one- and two-bedroom apartments all feature a private living area and either a half- or three-quarter bath. Our bright, spacious Assisted Living apartments all feature large windows, group social activities, and care that is personalized to your needs. 460 sq. ft. | Starting at $2780/mo. 590 sq. ft. | Starting at $2985/mo. 900 sq. 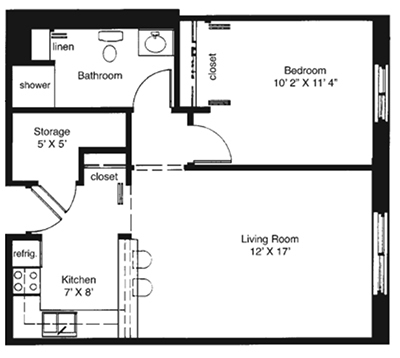 ft. | Starting at $3240/mo. By offering The Mission Experience, we hold our community to a higher standard and welcome your input. 263 sq. ft. | Starting at $2,180/mo. 390 sq. ft. | Starting at $2,335/mo. 468 sq. ft. | Starting at $2,735/mo. 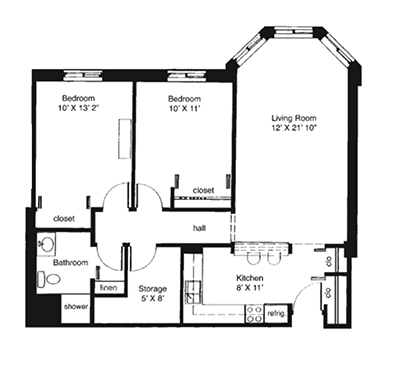 Interested in our assistant living options? If cognitive impairment is becoming a concern, Mission Health’s Memory Care Program offers a safe residential solution. 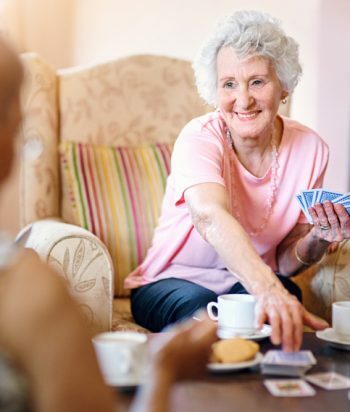 Memory care is a distinct form of care that caters specifically to patients with Alzheimer’s disease, dementia, and other types of memory problems. At our community, we offer secure, comfortable, and easy-to-navigate living areas along with daily care and activities provided by staff who are specially trained to assist people with dementia or impaired cognition. Our Memory Care teams are dedicated to stimulating the memories and senses of our residents through meaningful interactions and activities. To determine and design the most personalized and effective program possible, we conduct a formal, pre-move in assessment for each individual to determine the appropriate level of care and services.